Thailand is host to some renowned international exhibitions as well as trade shows that showcase Thailand products and Thai service companies. 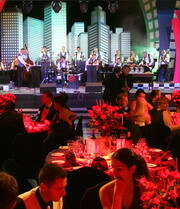 There are several first class exhibition centers designed to cater for these shows. Smaller venues are also utilized with some of the top class hotels in Bangkok hosting seminars and smaller show events. Their are specialist companies who service these venues. Exhibition organizers and Event Organizers can offer a complete service from organizing a conference, seminar or trade show to marketing and promotion. Bangkok Companies have worked closely with some of these event organizers to aid in promotion. Using The Ultimate Thailand Contact Database we have fueled numerous promotions. Direct email, fax broadcasting and mail merge for brochures and invitations. Bangkok Companies is a full service product sourcing company in Thailand. For All your product needs please email bangkokcompanies@gmail.com with your requests.